While comments of sportsmanship and praise are often hailed as classy in the great game, the modern version has rendered even those to be under scrutiny. The possibility of transfers is often embedded in words of praise that countrymen have to say of their compatriots, particularly if big names and big clubs are involved. At the same time, when stripped away from speculation and absent from any possibility of a move, they truly take on the nature of lauding one another. 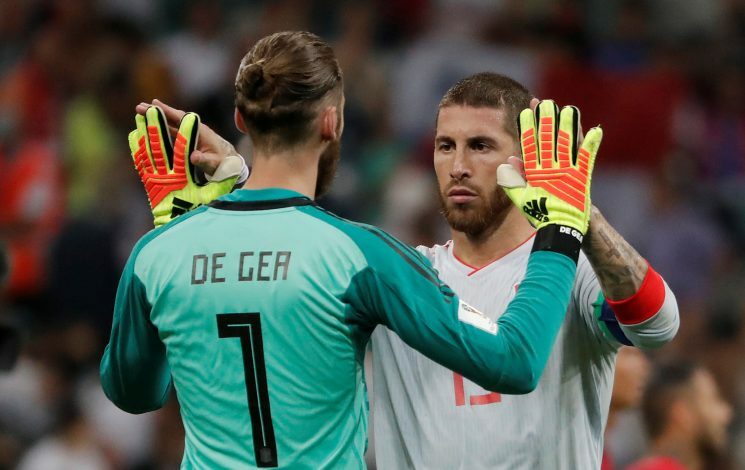 Such a comment was made about David De Gea after he ensured that Spain edged past England 2-1, and the source of these words was none other than Sergio Ramos. Despite being one of the finest shot-stoppers in the world, the Manchester United man came under heavy fire this summer after an underwhelming outing with Spain in the World Cup. As of such, much doubt existed over his future role with the European giants, but new manager Luis Enrique kept faith in the 27-year-old, and it was rewarded on the weekend, when De Gea kept his side in the UEFA Nations League. The Lions had initially taken the lead in the 11th minute itself, when Marcus Rashford linked well with Luke Shaw to put the ball past his club teammate – a moment the Manchester United fans may have had mixed feelings about. But first-half goals from Saul Niguez and Rodrigo brought Spain back, and saves on the other end by De Gea kept the scoreline rooted in victory.